A fly-in fishing adventure I’ve looked forward to for many years finally became a reality last fall. Rusty Myers Fly-in Outposts owner Angie Korzinski invited MidWest Outdoors TV to film on Wabakimi Lake, one of 10 outpost destinations serviced by their operation. Rusty Myers’ iconic presence in Fort Frances, just across the Ontario border from International Falls, Minnesota, is easily recognized by many north country vacationers. Their fly-in base on Rainy Lake’s Sand Bay is busy from sun-up to sundown. 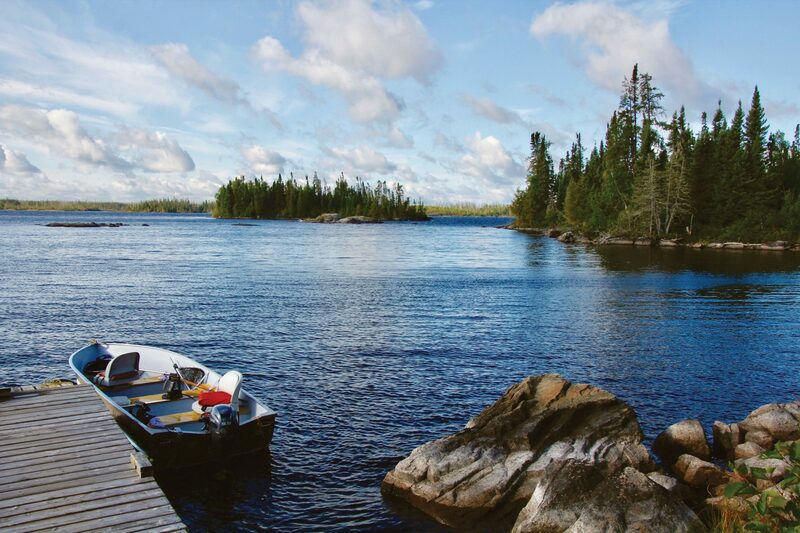 Floatplanes shuttle anglers to fish-filled destinations that lie as much as 250 miles north of the border. 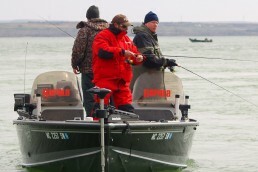 Fishermen from all over the United States experience the best that Ontario fly-in fishing has to offer. 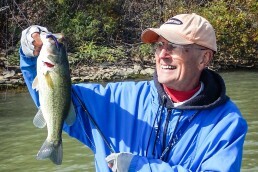 When reviewing options for a fly-in fishing trip, consider your requirements. What is the size of your group, what quality of accommodations are most comfortable for you, and what kind of lake best suits your preferences? 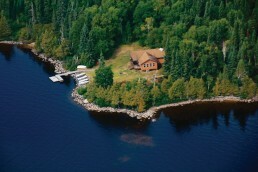 All 10 Rusty Myers Outposts accommodate at least eight people, and one option, at Brennan Lake, can handle large family groups or corporate outings of up to 24 people. It features four separate sleeping cabins plus a dining cabin with fireplace. The cabins at each of the 10 outpost lakes are well-appointed, with hot and cold running water, hot showers, comfortable beds, full kitchens with cookware and utensils, gas grills, dining area and living room, screened-in porches, and outdoor decks overlooking the lake. Yes, choice of fish species is a primary consideration. 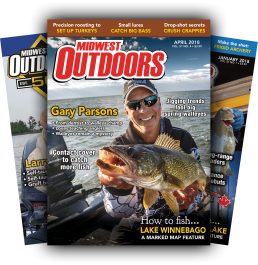 All of the Rusty Myers outposts offer walleyes and northern pike, and the largest of the lakes—Seseganaga, a 26,500-acre fishery—also harbors lake trout. 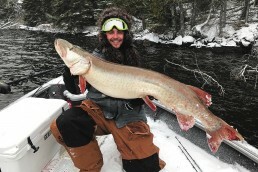 The size of the lake you prefer to fish also matters. 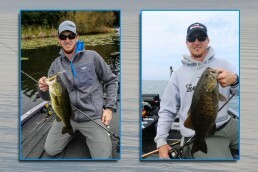 Do you like the “large lake experience” with tons of different fishing spots scattered far and wide? Do you like to explore new water or at least try a few new spots each day of your vacation? Or do you prefer a small lake that’s easy to navigate and to fish, featuring a few key hotspots you can return to repeatedly during your stay? 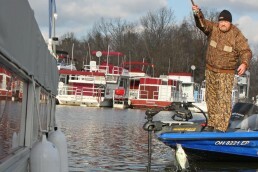 All of the lakes accessed by Rusty Myers’ operation feature fishing spots tucked out of the wind to fish comfortably. However, blow days can happen on larger lakes. Smaller lakes always can provide a comfortable fishing experience. Rusty Myers has an option as small as 1,600 acres (Siess Lake), although most of their lakes are in the 4,000- to 7,000-acre range. 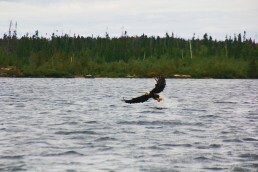 Wabakimi Lake, the lake we chose, is about 17,000 acres. 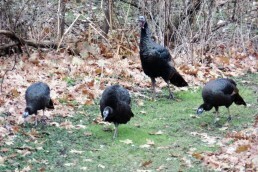 We were blessed that two longtime guests joined us on our trip. Gary Rognrud and Rob Gray, both have years of experience fishing on the various Rusty Myers lakes. Gary, at 78 years young, has shed these waters for more than 30 years. Repeat guests are an indicator of quality, and it’s safe to say these two gents (and the many friends and family who have traveled with them over the years) offer an obvious testimonial. 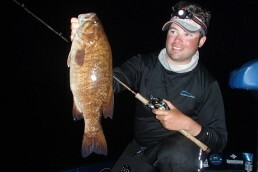 There are many reasons to plan fishing trips in Canada. 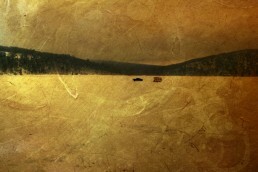 The allure of a remote destination is one draw; unplugging from the hubbub of civilization for a few days is another. Then you have the excitement of a floatplane trip. Angling with friends and family and telling stories around the fire are other attractions. The chance to catch trophy fish is there for you, too. 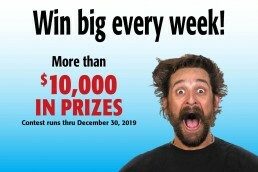 Experiencing the action of nonstop biting fish is a main draw for most folks. 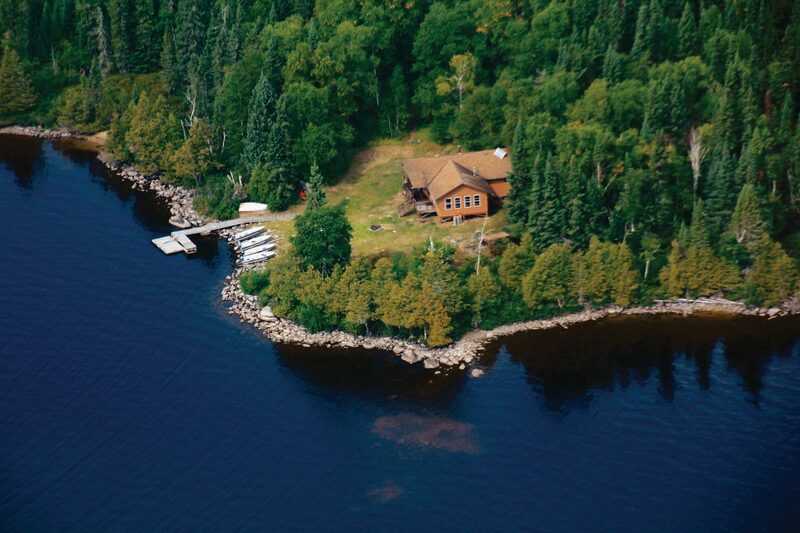 You can expect easy fishing when you travel to Canadian fly-in destinations. The lakes receive minimal pressure and have huge populations of fish. 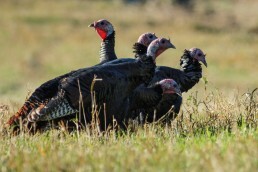 This far north, options for forage are minimal in a short growing season, so gamefish feed voraciously. 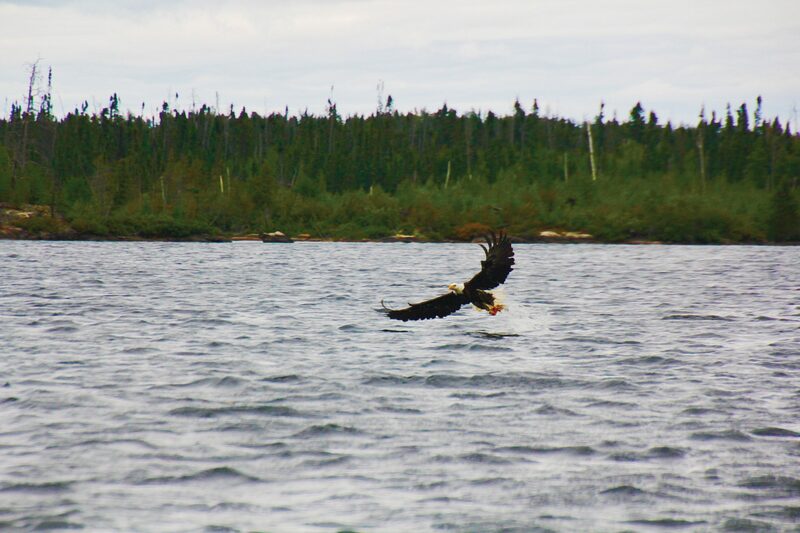 On our trip, at various fishing spots throughout Wabakimi Lake, the action was nonstop. We tallied a fish a minute at times! 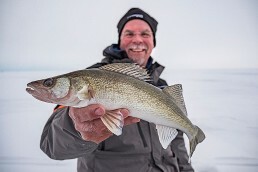 Some locations produced walleyes that ranged from 15 to 19 inches; on other spots, the average increased to the 20- to 24-inch range. 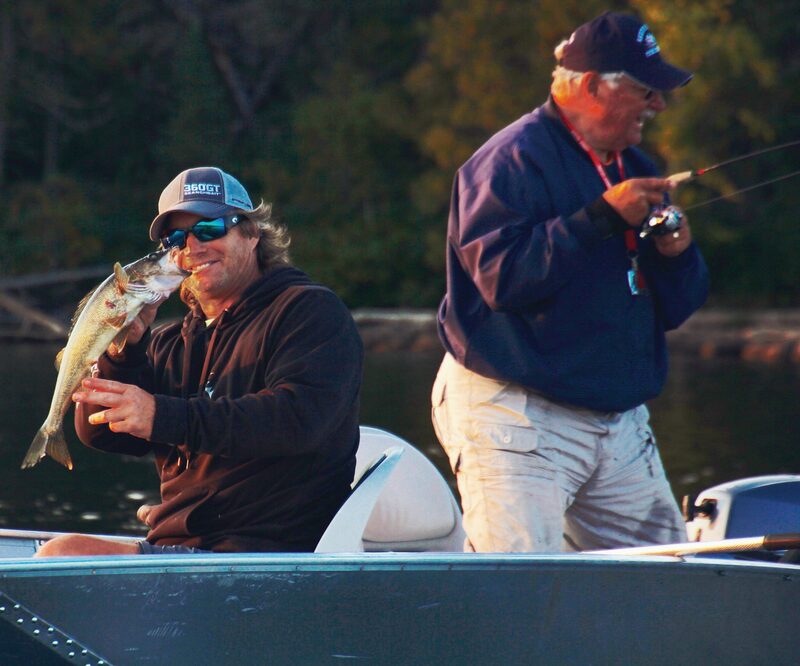 We spent little time casting or trolling for big pike or trolling shorelines for walleyes—the easy walleye fishing with a jig-n-minnow was too much to resist! 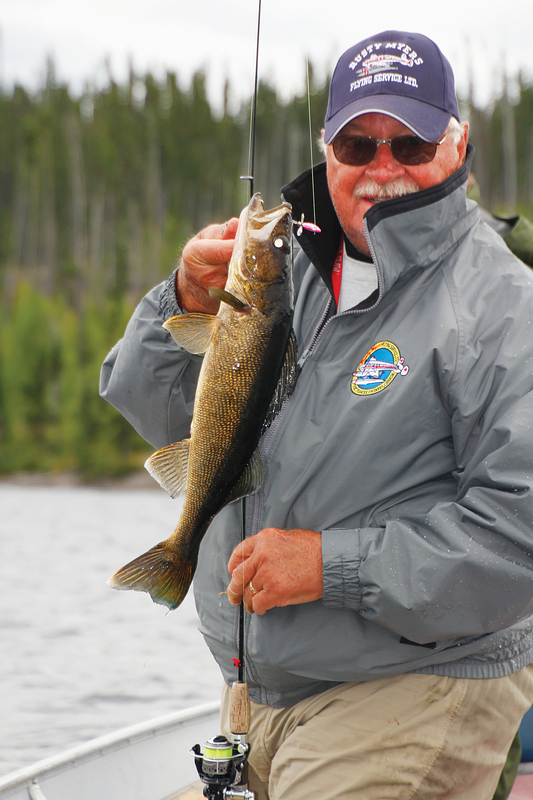 You don’t need to pack a lot of fishing tackle for a fly-in trip targeting walleyes and northerns. First, bring a good complement of jigs in various colors and sizes. 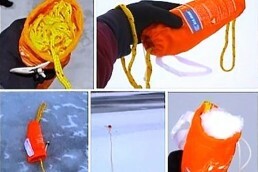 Pack 1/8-, 1/4- and 3/8-ounce jigs. On most of these lakes the best walleye action comes from only 6 to 20 feet of water. Include plenty of bright colors (chartreuse and green are mainstays), some reds and blacks and don’t forget white, blue/glow and pink/glow. 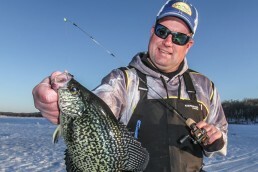 If you like twister tails to dress up your jigheads, you sometimes don’t even need a minnow on the hook to trigger bites from aggressive walleyes. 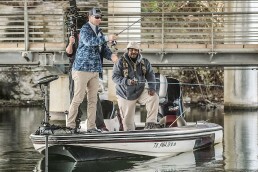 Rod choice is easy: two or three medium-light or medium-action jigging rods, 6 feet to 6 feet, 9 inches long, featuring extra-fast or fast actions. My two favorites are St. Croix’s Avid AVS60MLF and Legend Tournament LTWS63MXF. Spinning reels spooled with 6- to 8-pound mono or the same weight braid with a 4-foot fluorocarbon leader attached to the business end make nice combos. I also pack some rattling lipless crankbaits (ideal in current areas or along rocky shorelines), as well as lures like Shadow Rap Shads, Scatter Rap Glass Shads, Shad Deeps, and Scatter Rap Minnows and Jointed Minnows. I’m a big believer in the erratic, side-to-side darting action of Rapala’s Scatter Rap Series and the triggering action these display on a steady retrieve or slow troll. 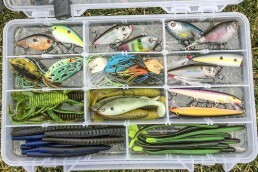 Lately, vertically-presented artificial lures are the rage. For several summers, I’ve caught walleyes on Jigging Raps (a lure originally designed for ice fishing), especially when fishing reefs or shoreline drop-offs. On our Rusty Myers adventure, No. 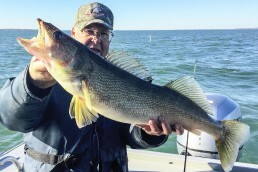 7 Jigging Raps hooked some of our biggest walleyes. 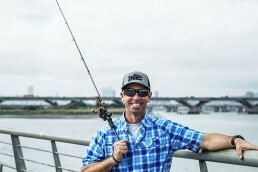 To fish these lures and avoid pulling the hooks out of the fish on the strike or during the fight, I like a medium-light power rod with a fast action and 8-pound monofilament. The hooks are so needle-sharp on Jigging Raps, I find braided line and heavier rods are unnecessary. For another fun alternative to jig-n-minnow combos, bring along some No. 5 and No. 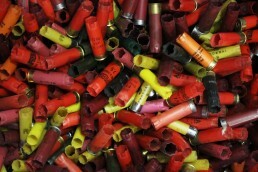 6 Rippin’ Raps. This rattling lipless lure has a compact body profile and produces an awesome action when jigged for walleyes over deep reefs. 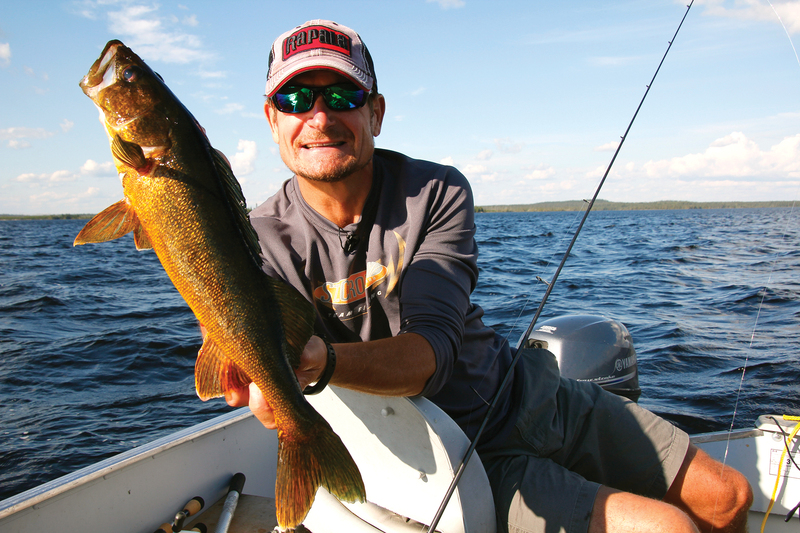 The lure just triggers bites—especially from big walleyes. I like a medium-power 7-foot baitcasting combo with 10-pound Sufix 832 braid for zero stretch and extra sensitivity. It’s fun to pump the rod, feel the vibration and hear the rattle of a Rippin’ Rap—and suddenly a walleye slams it! Most strikes occur when the lure pauses on bottom, and your next “lift” is dead weight. Some strikes come as the lure falls. 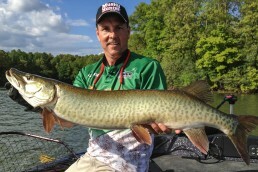 To round out your Ontario fly-in fishing gear, include a baitcasting rod or two for trolling or casting for big northern pike, plus a tackle box that includes larger-profile crankbaits, swimbaits, and bucktails. That’s about all you need to catch big pike on most Ontario outpost lakes. 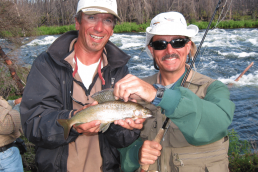 Fly-in fishing trips make memories that last a lifetime. Now is the time to start planning your 2018 trip by researching the destinations and specific fisheries that best suit your needs. If the Ontario fly-in experience is on your list, you can’t miss with Rusty Myers Fly-in Outposts.